The reciprocating saw is a versatile tool, and you can maximize your metal/woodworking benefits if you know how to use it appropriately. Assuming that you know how to work with it, you’re probably going to ask, “What is a reciprocating saw used for?” In this article, we shall be looking at the many uses of the reciprocating saw. We shall also be looking at some specific tasks that the reciprocating saw can be used for before ending with some reciprocating saw safety precautions. Before you dive into the uses, you should do yourself a favor by learning how it works. A reciprocating saw uses are split into two which include the common uses and specific purposes the reciprocating saw can serve. The common uses of a reciprocating saw are known to a number of woodworkers and metal workers who have made use if the saw one way or the other. However, we shall still be running through some of these so as to further aid your knowledge on reciprocating saw uses. Pruning, making straight, and curved cuts have been some of the many uses of the reciprocating saw. However, some people still have questions like ‘what are reciprocating saws used for?’ or ‘ what can you do with a reciprocating saw? So briefly we shall be running through some of the common uses of the reciprocating saw starting from those known to a few others that are not so known. The most common use of the reciprocating saw has been to carry out pruning jobs like cutting stems, cutting down the branches of trees or other basic cuts. With the simplicity and flexibility of the reciprocating saw, it remains the best cutting tool for basically all pruning jobs. While it is possible for you to be able to use any other saw type to make straight or curve cuts, there are certain places that only the reciprocating saw will work best. Making curved and straight cuts in some parts of a wood or metal piece can only be made possible with the reciprocating saw especially when working with a versatile blade. While typical reciprocating machines can meet most of your woodworking needs, some intricate cuts and curves require you to use more powerful and advanced models. Sometimes after finishing cut in a wood or metal piece, the woodworker or metal worker might discover some inconsistencies. Many times, it could be that an adjustment or change needs to be made to the workpiece. With the aid of reciprocating saws, changes can be made easily without causing any damage to the workpiece or the original work done on it. Reciprocating saws with a longer length and larger blade width have been the most recommended tool to be used in demolition things. Just make sure your reciprocating saw has a blade type with a very strong material type that can work well with the material type that is to be demolished. With a reciprocating saw, scrap wood pieces can be salvaged and trimmed into beautiful pieces that can be joined together. This tool is the best woodworking tool that can help turn scrap wood into well-shaped wood pieces that can be used for any other purpose in a woodwork project. The reciprocating saw with the right blade attached to it can also be used to cut off sill plates quickly without any stress on the user or the machine. 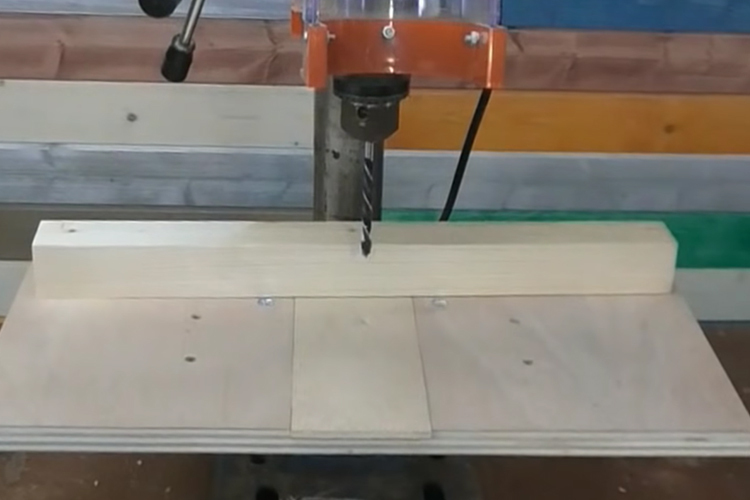 When cutting off sill plates, precision feels better when you make use of the reciprocating saw. Many woodworkers find it quite difficult to make sheathing from openings with a lot of other tools. If you are one of such woodworkers and have been asking questions like ‘what do you use a reciprocating saw for? Here is your answer. With a reciprocating saw, you are able to make sheathing from openings easily. Also, the reciprocating saw can be used in cutting holes and notches and also to get items through into a plumbing structure. Best for cutting pipes without necessarily damaging it, you can make use of the reciprocating saw to gain access into any and if not every plumbing structure. Do you have damaged shingles in your wood workshop? It is possible that you make out something beautiful from those damaged shingles. Get those damaged shingles looking attractive once again with a reciprocating saw. After making cuts on workpieces, holes created needs to be properly cleaned to take away any particle from it. This is most needed when cutting pipes so as to avoid clouds of dust from getting g into water particles. With the aid of reciprocating saw, you can easily clean and sand holes as you make cuts. The reciprocating saw can also be used for other mechanical tasks to be carried out by a woodworker or metal worker. This includes measuring workpieces and being sure if they can fit into themselves. The reciprocating saw can also be used in aiding other woodworking tools for a cutting project. With a reciprocating saw, carrying out a fine finish on a workpiece feels much easier and better. By being able to use it to clean and sand, it not only helps to produce accurate cuts but also a fine and attractive finish. Asides from the common uses of a reciprocating saw, there are specific tasks in which the reciprocating saw can be used to accomplished. The question what is a reciprocating saw used for will not be properly answered if some specifics task that can be accomplished with the reciprocating saw are not discussed. One specific task that can be accomplished with the reciprocating saw is the installation of a standard outlet. A standard outlet needs for some curved and straight cuts to be made in certain places that can only be accessed by the reciprocating saw. Also, the ability of the reciprocating saw to create a fine finish is also what makes it the best tool for installing a standard outlet. Fitting a home window is one task that is best carried out with the use of a reciprocating saw. Home windows need a firm fitting in other to prevent any sort of unwanted materials, insects or anything from going into them. To achieve this, the window sizes need to be properly cut to fit into the frame of the house. Achieving this precision and accuracy is what makes the reciprocating saw the best tool for the job. After a while of using your PVC in your home, it is possible that you will want to change the style while keeping the fitting intact. Changing the style of PVC piping at home is a specific task that can be carried out with a number of other saws, but specifically the reciprocating saw. With the reciprocating saw, the PVC piping is done effectively so as to prevent it from falling or pulling off. Have you tried pulling out that nail, nut or screw and all seems to no avail? Have you locked that padlock only to discover that the keys have been locked inside or have misplaced? Then you do not have to worry as you can cut through all of this with a reciprocating. No much stress or energy is required to cut through any of these metal items when you let Tue reciprocating saw do the job. Attention! Remember These Safety Tips! As simple as the reciprocating seems to be in terms of operation, one wrong steps can cause a whole lot of damage. This is why it is very necessary for you to know when to use a reciprocating saw and understand the safety precautions to abide by when using one. To put a good end to the question ‘what is a reciprocating saw used for?’ will be to end providing some operational safety tips to keep your when using the saw. Have yourself shielded with all of the safety instructions and materials before and all through your usage of the reciprocating saw? It doesn’t matter how small a working tool is, long as it has a blade, it is one through requires you exercise care while using. When making use of the reciprocating saw, it is best to put on all the safety materials needed. These safety materials include hand gloves, face masks or protective goggles and hearing aid when handling tougher projects. While in use, make sure to keep your hands far from the blade of the reciprocating saw. Remember that irrespective of the saw blade material type, keeping your hands along the cutting g way can be very dangerous to your hands. Keep the reciprocating saw out of the reach of children when not in use and keep children away from it when in use. Considering how delicate the blade of the saw is, it is no gainsaying that it is not one meant for children to be playing wait. So store reciprocating saw in the workshop far from the reach of children. Regular maintenance of the reciprocating saw is also one safety tip that is not always talked about under safety. If the reciprocating saw is properly maintained, it will be very easy for you to detect faults and address them before you start making use of the saw. How to Use a Benchtop Planer to Prepare Your Work in Minutes? How to Use Tap and Die Set for Home Machines and Power Tools? How to Make a Drill Press Table Perfectly at Your Workshop? How to Use a Reciprocating Saw like a Metal and Woodworker? How to Measure Chaps to Suit Your Clothing for a Perfect Fit? How to Cut a Straight Line Appropriately with a Reciprocating Saw? 7 How to Use a Jointer to Prepare the Stock Properly for a Project?